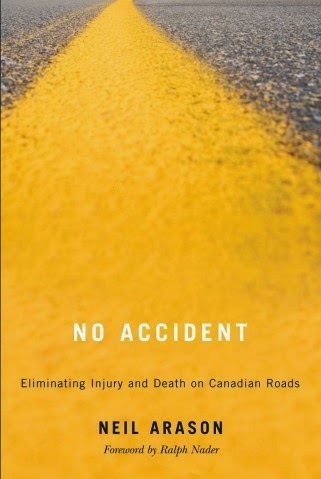 FREDERICTON -- It was just after midnight on Jan. 12, 2008, when a 15-passenger van carrying the Bathurst High School boys' basketball team lost control on a slushy highway. To view original article on CTV, click here. An oncoming transport truck tore the van apart, killing seven teenage players and the wife of their coach -- and brought a grief-stricken northern New Brunswick community to its knees. "I had never seen anything like it. There was such profound and widespread grief throughout the community," said John McLaughlin, the then-superintendent of the Bathurst school district, who added the tragedy brought messages of condolence from around the world. "The tragedy of the loss of the promise of those young men, what they could have been and what they dreamed of. That just resonated with people everywhere." Five of the boys who died -- Javier Acevedo, Nathan Cleland, Justin Cormier, Codey Branch, and Daniel Hains -- were 17 years old. The other two students were Nick Quinn, 16, and Nikki Kelly, 15. "Part of me died that day when I lost my son. Nothing changes for me. Those 10 years -- it's just like yesterday," Isabelle Hains, Daniel's mother, said in an interview. "I drove him to school that morning and I don't know why he spoke about his future plans that morning with me. He said he wanted to travel to Europe and he talked about his birthday coming up, and it was just like a normal day for me. I never expected that by midnight that night I would never see him again." The team was returning from a night game in Moncton, N.B. The coach's wife, Beth Lord, 51, was also killed. Coach Wayne Lord, who was driving the 11-year-old van, his daughter and two team members survived the crash. McLaughlin, now the province's deputy education minister, said the tragedy brought about important changes, and the transport of students is safer now because of it. "School districts are required to make sure that there is compliance with these policies any time students travel. I think the system is safer for students now than it was then. I only wish, as an educational leader, that it had been the practice 10 years ago," he said. "They banned them in Newfoundland, P.E.I., Nova Scotia, Quebec and New Brunswick, and there are districts across the country that don't use them either, but there are schools out there that are still using them, and I say shame on them," said Hains. "Daniel, Javier, Justin, Codey, Nickolas, Nathan, Nikki and Beth Lord did not die in vain that night. Their names will be forever connected to student transportation all across Canada. They will never be forgotten," she said. 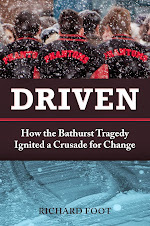 The deaths inspired a 2012 CBC TV movie -- not on the tragedy, but on the events that followed: A year later, the reconstituted Bathurst High School Phantoms won the provincial title. "The wound is still very much alive. We are still hurting a lot. We wanted the 10th anniversary to be more of a quiet reflection to always remember and never forget that day," Fongemie said. A portable basketball net was erected at the crash site in the hours following the accident. Ten years later, it remains, adorned with pictures of the victims -- known as the Boys in Red, for their red jerseys. "I think about this most days, whether I'm driving past that monument or not. It is something that impacted, not just me, but so many people. I think about the boys and Beth. I think about their families for whom I have tremendous empathy and respect," McLaughlin said. Hains calls the site "sacred" and planned to be there at midnight, as she has been for the last nine years, to light candles in the snow and remember. "All the families share the same loss, and that love for our boys is for eternity," she said.